Pet foxes are cute and comical. They remind many people of small dogs or puppies and are in fact related to them. But that doesn't mean they're just like domesticated dogs. Different fox breeds have different personalities and care requirements and some are even illegal to own in some places. Depending on where you live, you may be able to care for a certain breed of pet fox. 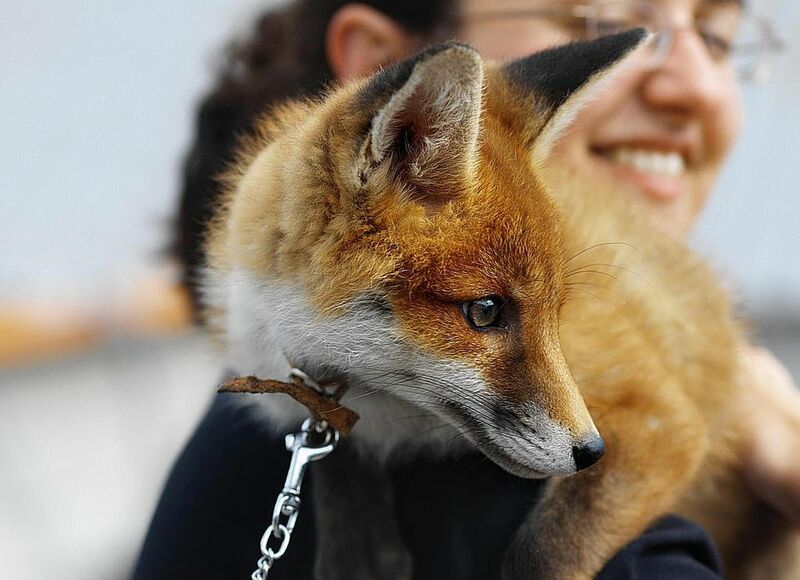 A pet fox may fall under different categories in different state legislation (wild canine, small canine, non-domesticated species, native wildlife, etc.) so depending on your state's regulations you may or not be legally allowed to own one. Be sure to read your state's laws before getting any breed of fox as a pet. The fennec fox has been kept as a pet for a long time. They are known for their small size, large ears, long life expectancy, and sweet personalities. The fennec fox falls under the "exotic animal" or "non-domesticated species" description in most state regulations. Fennec foxes are the most commonly seen kind of pet fox due to their popularity as wild animals and availability but they come with quite the price tag. Expect to spend a couple of thousand dollars or more on a privately-bred fennec fox. These small foxes only weigh a few pounds as adults so they aren't for most households with small children or pets that may cause harm to such a small, non-caged creature. Litter boxes are often used in households with fennec foxes but house training can be difficult. The red fox is not as popular of a pet fox as the fennec fox, but those who have them can't say nicer things about them. Although they are not domesticated and have their downsides as pets, many red fox owners argue that they can be as sweet as a house cat. The red fox is usually considered a "native species," an "exotic animal," or a "non-domesticated species" in state regulations. They are larger than a fennec fox, have more of an odor, and need much more room to dig and play. A domesticated variety of the red fox exists and is known as a silver fox. Also referred to as the tame Siberian fox, the tame Arctic fox, Sibfoxes, the domesticated fox, and other names, the silver fox is a true domesticated fox from Russia. These foxes have been bred for specific characteristics and have genetic differences from red and arctic foxes (due to selective breeding). Currently, the true silver fox is only available from Russia and there is a bit of a process involved if you would like to acquire one. A hefty price tag is also associated with them. A variety of the red fox, the arctic fox is very similar to the red fox but is typically smaller and not as commonly seen as a pet. Arctic foxes are considered non-domesticated in most state legislature and their care requirements are the same as that of a red fox. Foxes are often an alternative to a domesticated dog or cat and make an interesting addition to a household that is prepared to care for one. Each breed has their own dietary specificities but for the most part, foxes eat premium dog food with additions of other items such as insects, fruits, and vegetables.